Hormel Foods Corp. is riding the wave of the new tax law, banking a one-time savings bump in the first quarter and feeling confident enough to boost earnings guidance for the year. The Austin, Minn.-based company said Thursday it now forecasts earnings of $1.81 to $1.95 per share, up from $1.62 to $1.72, as the new law slashes its effective tax rate. “Tax reform will have a clear benefit to all Hormel Foods stakeholders — our shareholders, our employees and the communities in which we operate,” said President and CEO Jim Snee, who presented first-quarter results as part of the Consumer Analyst Group of New York conference in Boca Raton, Fla. The company will use some of the additional funds for capital investments, particularly in efforts already underway to modernize and improve efficiencies in its supply chain. Some of it will go to the company’s 20,000 employees, though it is unclear how much will wind up in their pockets right away. Hormel said Thursday it will make a one-time stock option award to employees and will bring all new hires up to a starting wage of $13 an hour by the end of fiscal 2018. It will bump the scale to $14 an hour by the end of 2020. A company spokesman said wages currently differ across the enterprise, and some new workers already earn that $13-an-hour benchmark or higher. 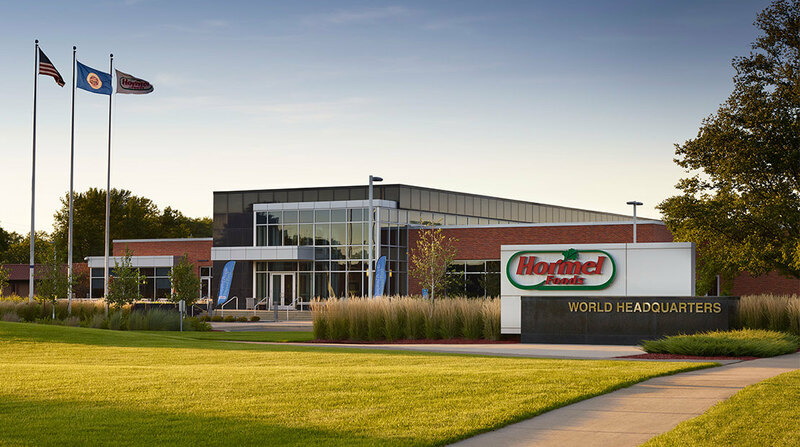 Hormel said it also earmarked $25 million in community investments over the next five years as a result of the changes to its effective tax rate — which will be reduced to 17.5 to 20.5 percent from its current 32 to 33 percent.